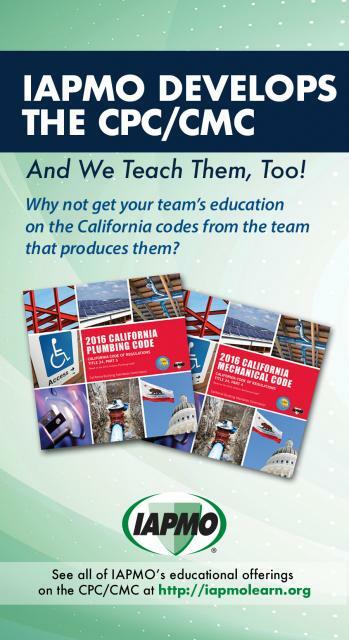 At CALBO, our goal is to be the premier resource for all California code officials and industry colleagues. We hope you will find this newsletter to be of value as you protect the build environment in the Golden State. Welcome Building and Safety Professionals! Well, school’s not out…and it never should be. I recently had a conversation with my high-school daughter, who was inquiring about “when are we through with school?” I smiled and said, “never.” Although continuing education may not be exciting compared to other things in life, the benefits are life-long. There are plenty of statistics and facts that support this. - Increasing qualification - State law (H&S 18949.25 through 18949.31) requires each building official, plans examiner, and building inspector to obtain 45 hours of qualified continuing education in each three-year period with at least 8 hours regarding disabled access requirements. - Increasing opportunities and income – We all like options. Having additional certifications and training keeps you relevant to your employer, increases public-safety, and opens the doors to other opportunities. - Increasing confidence - Real confidence comes from the inside and your education and continuing education are the best foundation for this. No one can take that away from you. - Improving social networking – Why fly solo? The wider your connections, the more people you can help and the more people who can help you. - Securing your future – The marketplace is very competitive and that competition is only increasing with time. Put yourself in an employer’s shoes…if you were going to consider advancing an employee, who would you choose? Certification or a degree is only the beginning. Increase your skill sets and value by taking advantage of the training opportunities that CALBO has to offer. This year, CTI has concentrated its efforts on professional development and relevant code update courses that benefit both seasoned building-safety department personnel and newly recruited industry members. 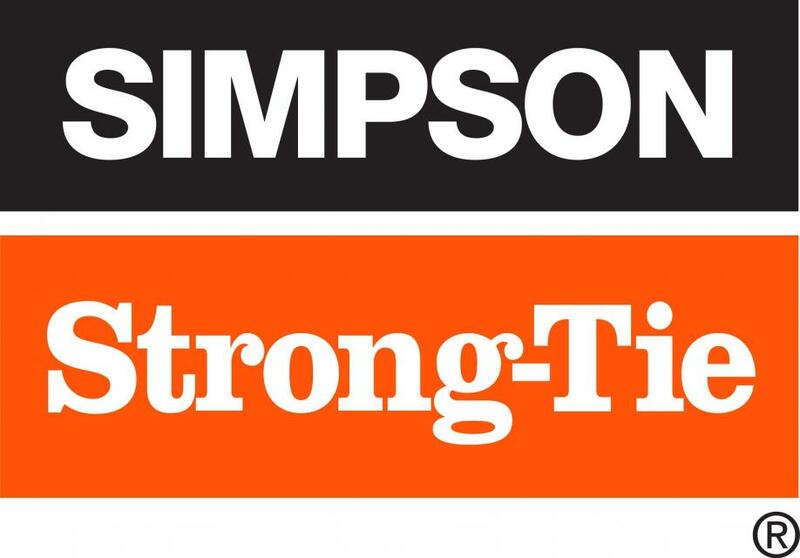 We hope to see you at the upcoming Education Weeks held in San Ramon, Ontario, and Anaheim. Did you know that there are 18 newly developed courses offered this year at CALBO Education Weeks? The CALBO Training Institute (CTI) Commissioners and CALBO staff have worked hard to develop courses that are not only technically insightful and proficient, but provide real-life experiences that building-safety department staff can encounter on a day-to-day basis. It is CTI’s goal to furnish building departments staff with tools to keep active and up-to-date on code changes and amendments, new technology, and advanced thinking on issues related to our industry. Another year is quickly moving forward. Yes, it’s that time again to start looking towards and preparing to join us at the upcoming Education Weeks presented by the CALBO Training Institute (CTI). CTI has worked diligently to provide a variety of practical and topical courses for your training needs. Along with the more traditional educational topics, we are pleased to bring you 18 newly developed classes to provide you the finest building-safety training available to sharpen and hone your abilities to serve your communities. CTI has concentrated its efforts on relevant code updates and professional development courses that benefit both seasoned building-safety department personnel and newly recruited industry members. Please take the time to review the courses listed in this catalogue to find what best suits your training needs. Each course listed has a course title and description to help you during the registration process. If you have any questions regarding the Education Week curriculum, please do not hesitate to reach out to CALBO staff, myself, or the CTI Commission. CTI is again hosting three Education Weeks at the venues you have become familiar with, including San Ramon in September, Ontario in October, and Anaheim in December. Please keep a look out for other trainings listed as Independent Offerings this fall, winter, spring, and summer that are hosted by jurisdictions throughout California. CTI hopes that an expansion of Education Weeks and Independent Offerings provides flexibility for departments and industry companies to split their staff between venues allowing more time in the classroom throughout the entire year. Thanks for your support through attendance and feedback as we continue to expand valuable training opportunities. Thank You 2018 CALBO Education Weeks Instructors and Course Developers! The CALBO Education Weeks would not be possible without the support and dedication of the following individuals. CALBO is grateful for their willingness to devote their time and knowledge to help teach others about the ever-changing building-safety industry. Interested in Instructing or Course Development? Apply to be a CTI Instructor Today! The CALBO Training Institute (CTI) wants to see what you’ve got! Between the Education Weeks and Independent Offerings programs, CTI has a growing number of opportunities to delve into instructing. Are you registered to attend the 2018 CALBO Education Week: San Ramon, Ontario or Anaheim? If so, you’re invited to attend “Lunch and Learn,” a special lunch presentation to learn more about making energy code compliance easier and faster through “ace-age” technology. 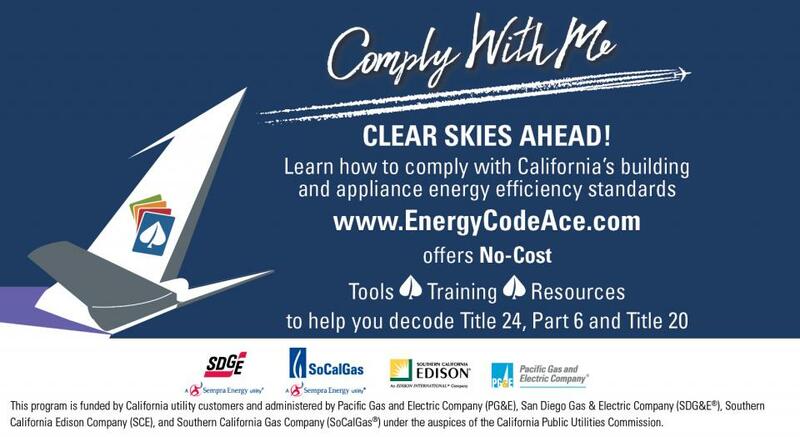 Energy Code Ace’s team will introduce attendees to a new user interface for nonresidential prescriptive compliance forms for completion and verification. You’ve gained code knowledge in the classroom – now learn what free tools, training, and resources are available for you and your building department! Thank you to the following companies, agencies & organizations for their upcoming participation in the 2018 CALBO Education Weeks Exhibitor Program! 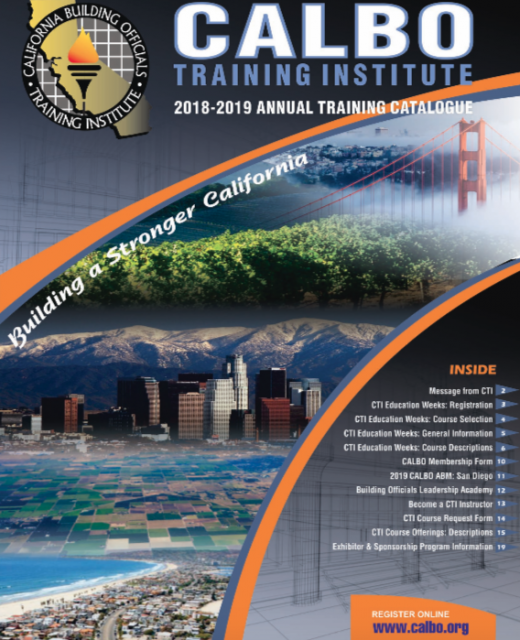 The CALBO Training Institute hosts its Education Weeks throughout the Golden State to provide continuing education for California building departments. Dozens of state agencies, organizations, and companies participate by exhibiting in San Ramon, Ontario and Anaheim. Please make the time to visit the participating exhibitors to learn more about up-to-date innovative products and services. As the current 2017-18 legislative comes to an end on August 31, legislators are eager to move their remaining measures through the legislative process. Since this is the second year of the two-year legislative session, all bills must pass out of both houses in order to be signed by the Governor – bills that fail to pass will not carry over to 2019. In these last few weeks of session, the remaining bills will be heard in fiscal committees and must receive enough votes on the Assembly and Senate Floors. Since there is a limited amount of time until the end of session, many bills are moving quickly and being amended in order to pass. CALBO is keeping a close eye on many bills that impact our membership, specifically Assemblymember Nazarian’s seismic resiliency measures. 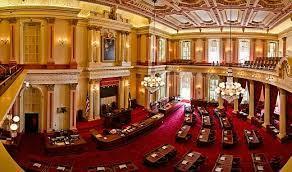 On August 6, AB 1857 and AB 2681 were placed on the Senate Appropriations Committee suspense file. Bills are placed on the suspense file if they have a significant fiscal impact on the state. Once they are on the list, their fiscal impact is assessed, and all of the measures are prioritized. Bills that address legislative priorities (the drought, affordable housing, transportation) often get pulled off of the list first, along with other bills that have a smaller fiscal impact. The rest of the bills that do not get passed out of the Appropriations Committee, and pulled off of the suspense file, are held in committee and “die” there. This year’s legislative session has been filled with building health and safety issues that directly affect our membership. 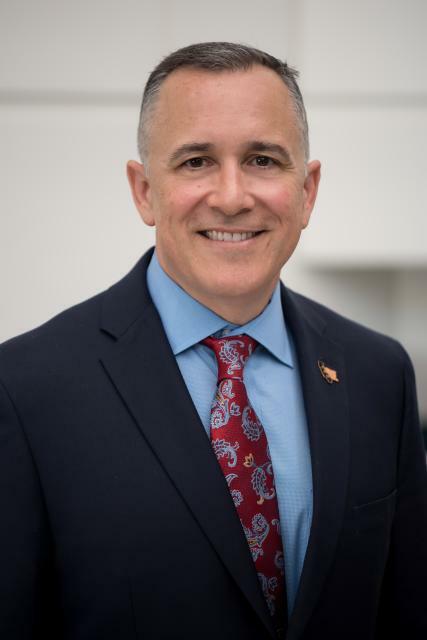 CALBO has been closely tracking several bills, and advocating our strong position at the State Capitol. The Legislature is currently on “summer recess” and will reconvene in August to finish the last few weeks of session. During this time, it would be helpful to get CALBO’s local jurisdictions involved in these advocacy efforts and express their individual concerns with bills that are moving through the process. 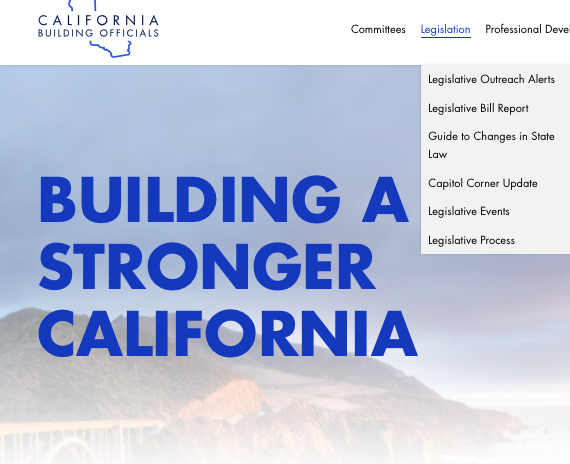 Have you visited the Legislation tab on the redesigned CALBO Website? Take advantage of these resources for your jurisdiction. 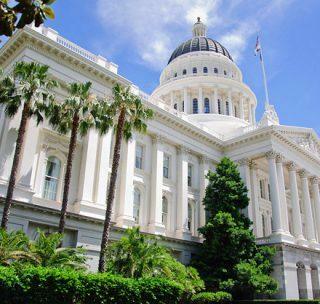 The California Energy Commission has adopted the 2019 Building Energy Efficiency Standards. The 2019 Energy Code goes into effect January 1, 2020. Homes built under this Code will use about 53 percent less energy than those under the 2016 Code. Nonresidential buildings are estimated to use about 30 percent less. Although the Energy Code has been adopted the Energy Commission Advisory Committee has been, and will continue to be, very busy. The CALBO Training Institute (CTI) prides itself on the ability to provide quality and timely training to industry professionals across the state. It’s in that spirit that CTI has increased the number of courses available outside of our Education Weeks programs. As CALBO continues to trek California, keep an eye out for courses in your area. CALBO may even be near you next week! CTI Wants to Come to You! As the CALBO Training Institute (CTI) continues to provide quality training around California, we want to ensure that we reach YOU! If you or your jurisdiction is interested in having a class brought to you and would be able to aid in location of a venue, please let us know! In the past few months, CTI has hosted courses in and around Los Angeles, Orange County, the San Francisco Bay Area, and Sacramento. 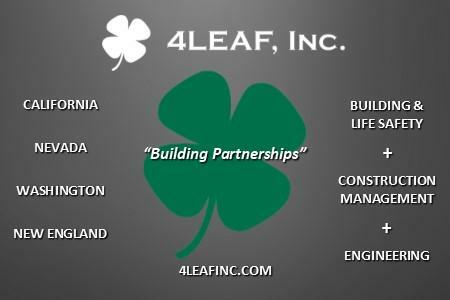 Help us reach out to even more building professionals by letting us know where we can go next. Welcome to the 2018-2019 CALBO Membership Program! 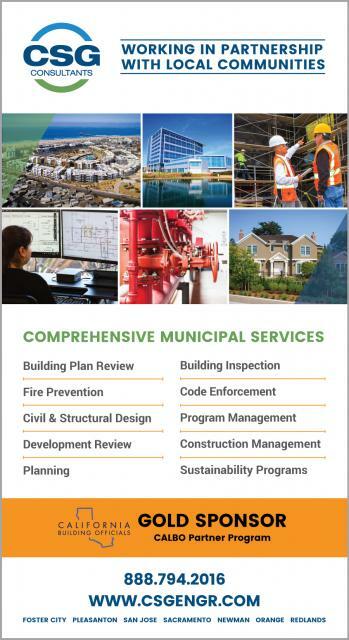 Founded in 1962, CALBO is a nonprofit professional association of city and county building departments and industry representatives. 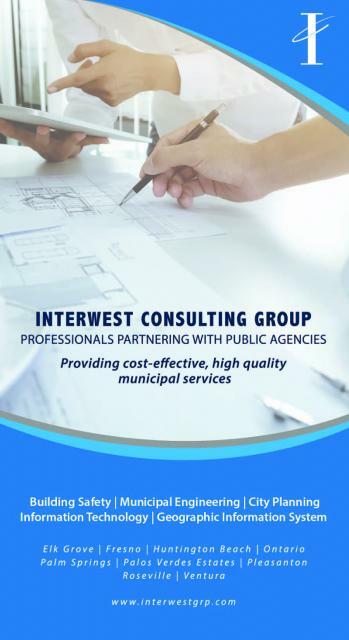 Our mission is to promote public health and safety in building construction through responsible legislation, education and building code development. On behalf of the 95% of California cities and counties, we welcome you to our community.